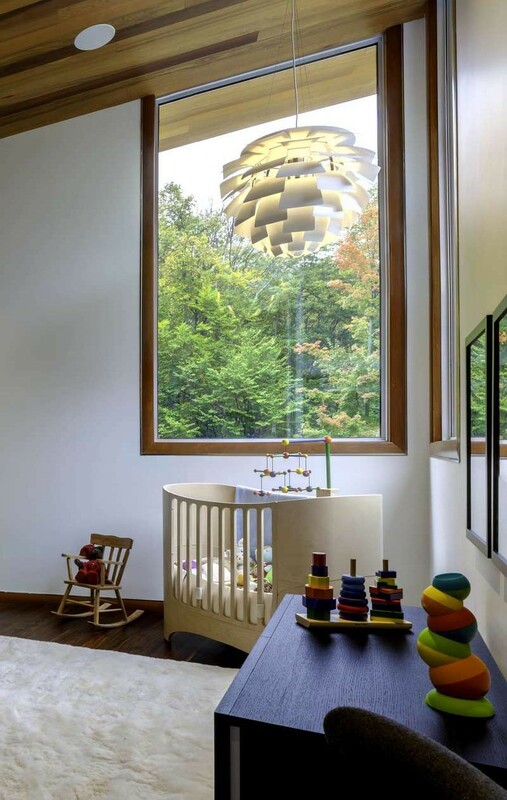 This nursery room from a house in Michigan, designed by architect Michael Fitzhugh, would certainly be a dream for many parents. 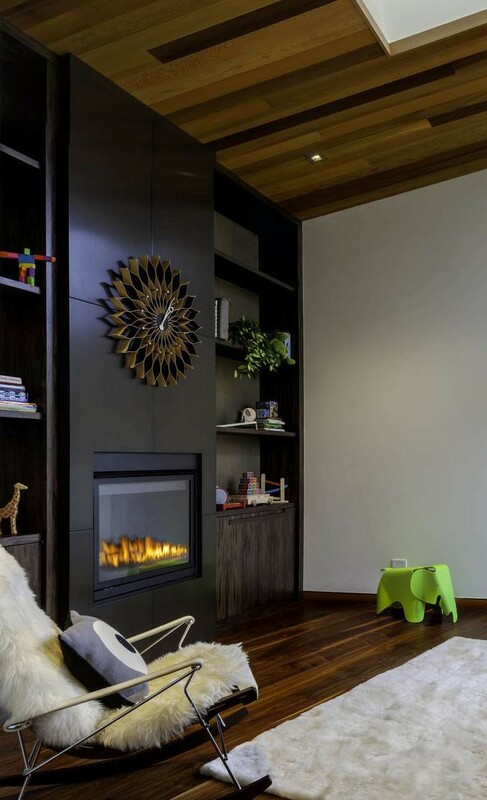 The room has warm wood tones all around, and there’s a rocking chair next to a fireplace. 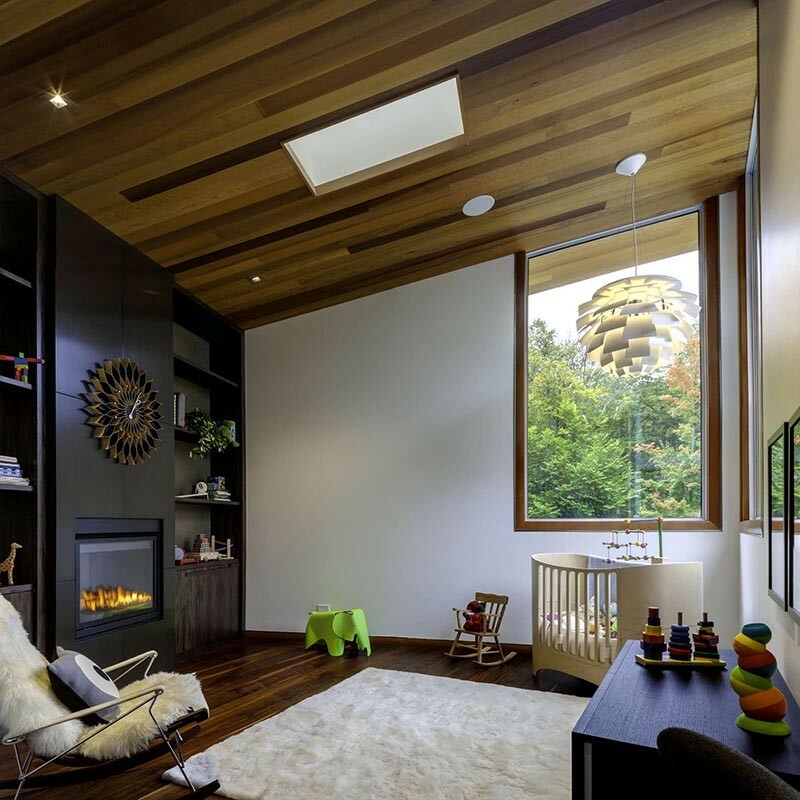 An ideal space to spend some quiet time with a baby. The only thing we’re wondering about, is how do they shut out the light during the day? There doesn’t seem to be any curtains, blinds, or window coverings of any kind, and they have a crib right next to the windows. How do they put a baby to sleep with so much light?